6. Where is thirty thousand different varieties of rice? In the 1960s, the Rockefeller and Ford foundation established two permanent research stations for the development of high-yielding cereals, the International Rice Institute (IRRI) in the Philippines and the International Maize and Wheat Improvement Centre (CIMMYT) in Mexico. The high-yielding varieties of wheat and rice have spread more widely, more quickly, than any other technological innovation in the history of agriculture in the South. Actually, the green revolution's wheat and rice varieties, also known as high-yielding varieties (HYVs) do not do much better than the traditional varieties and they can even do worse) unless they have them so successful (Fowler, 1992). The "Seed-Fertiliser-Water" technology popularly known as "Green Revolution" began in Bangladesh in the 60's. At that time farmers rarely used fertiliser, pesticides and 'modern irrigation system'. Bangladeshi farmers used traditional methods of agriculture that they practised since thousands of years. Bangladesh Water Development Board Development Board (BWDW) developed multipurpose flood control, drainage, irrigation projects, where as Bangladesh Agricultural Development Corporation (BADC) introduced modern irrigation equipment, chemical fertilisers, pesticides, and new varieties of seed that was developed by the international rice research institutes to increase food production in Bangladesh. Thus seeds developed in international research stations were made available to farmers for dry season (boro) crops in 1968 and wet season (aman) crops in 1970. Farmers experience and advise were never consulted, while introducing modern irrigation system and chemical based agriculture, as they are regarded as"ignorant farmers". Introduction and implementation of "Seed-Fertiliser-Water" technology was financed by the World Bank, Asian Development Bank, IMF, industrial countries as credit and donation. After the construction embankments, where the HYV cultivated, agricultural land does not receive fresh fertile sediments, algae and water that keep ground water level high during dry season, depleting natural soil to nutrient poor soil. The loss of vital nutrients like illite, montmorillonite clay minerals, silt, organic matters (nitrogen supplying algae) are compensated by chemical fertilisers. 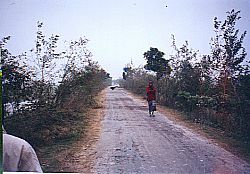 Despite being a part of the rice and other crop-growing area of the country, Kurigram is the most vulnerable area in the country, and almost every year the period from October to December brings on the phenomenon of 'monga' or food shortage where the poorer people go hungry because of lack of employment opportunities, and no croplands of their own to harvest. Natural calamities like drought and famine, river erosion and flooding, extreme cold weather and extreme heat affect the people of Kurigram and nearby areas almost every year. It is apprehended that Vulnerable Group Feeding Programme starting from today will be too inadequate as the coverage of only 1.50 lakh families in the whole district will not ease the situation. Besides government relief and Food for Works programmes in the area, micro-credit programmes of nationalised banks, the Krishi Bank and similar programmes of the leading NGOs have not been able to fully tackle the problem till date (The Independent, October 14, 2004). It doesn’t shock the nation anymore. Reports saying that 65 of the 243 farmers who committed suicide in Vidhrabha region of Maharashtra, India had debts as little as Rs 8,000 have not shaken the conscious of the world’s biggest democracy. That Meena Prakash Rechpade, widow of the 36-year-old farmer, Prakash, of village Dhanori, near Wardha, in Maharashtra, has no money to arrange for the last rites of her husband, who took the fatal route to escape the misery of green revolution no longer evokes strong reaction. All this is happening at a time when high-chemical input based technology has already mined the soils and ultimately led to the lands gasping for breath, with the water-guzzling crops (hybrids and Bt cotton) sucking the groundwater acquifer dry, and with the failure of the markets to rescue the farmers from a collapse of the farming systems, the tragedy is that the human cost is entirely being borne by the farmers. The US-based International Service for the Acquisition of Agri-Biotech Application (ISAAA), which unabashedly promoted genetically engineered crops and 'transfer' of technology with multi-million dollar funding from Bayer, Cargill, Dow, Monsanto, Novartis, Pioneer, Syngenta, in addition to foundations and Western governmental funding agencies, is busy collaborating with the Federation of Indian Chambers of Commerce and Industry (FICCI) and Confederation of Indian Industry (CII), which is besotted with the vision of India as one vast genomic valley. Green revolution has not only gone sour, it has now turned red. The unexplained number of huge number of suicides a testimony to the entire equation going wrong. However, the fundamental issue of destruction of sustainable livelihoods is not at all being addressed. All these years, for instance, the dryland regions of the country, which comrpise nearly 75 per cent of the total cultivable area, have increasingly come under the hybrid crop varieties. While the crop yields from the hybrid varieties was surely high, the flip side of these varieties – these varieties are water guzzlers – was very conveniently ignored. For the sake of comparison, let us take the example of rice. In Punjab and Haryana, farmers cultivate high-yielding varieties of rice. These varieties require about 3000 litres of water to produce a kilo of grain (IRRI’s compilation of the water usage for rice at 5000 litres for a kilo, is being questioned). Instead of bringing in varieties that require less water for the water deficit areas of the drylands, hybrid rice varieties with water requirement exceeding 5000 litres per kilo of grain were promoted. Three decades after the launch of the Green Revolution, agricultural scientists are now discovering that chemical pesticides are a complete waste of time and money. They have realized the grave mistake only after poisoning the lands, contaminating the ground water, polluting the environment, and killing thousands of farmers and farm workers. Is it true that the best way to fight hunger, protect the environment and reduce poverty in Africa is by relying on Green Revolution crop varieties, and using more imported farm chemicals, plus genetic engineering and free trade? This is precisely what powerful institutions in Washington and elsewhere are prescribing for the continent, yet each of these elements could actually worsen, rather than improve conditions for Africa's poor majority (Institute of Food and Development Policy and the University of California at Berkeley, USA, 2002). Faced with an estimated 786 million hungry people in the world, cheerleaders for our social order have an easy solution: we will grow more food through the magic of chemicals and genetic engineering. For those who remember the original "Green Revolution" promise to end hunger through miracle seeds, this call for "Green Revolution II" should ring hollow. Yet Monsanto, Novartis, AgrEvo, DuPont, and other chemical companies who are reinventing themselves as biotechnology companies, together with the World Bank and other international agencies, would have the world's anti-hunger energies aimed down the path of more agrochemicals and genetically modified crops. This second Green Revolution, they tell us, will save the world from hunger and starvation if we just allow these various companies, spurred by the free market, to do their magic. Improving seeds through experimentation is what people have been up to since the beginning of agriculture, but the term "Green Revolution" was coined in the 1960s to highlight a particularly striking breakthrough. In test plots in northwest Mexico, improved varieties of wheat dramatically increased yields. Much of the reason why these "modern varieties" produced more than traditional varieties was that they were more responsive to controlled irrigation and to petrochemical fertilizers, allowing for much more efficient conversion of industrial inputs into food. With a big boost from the International Agricultural Research Centers created by the Rockefeller and Ford Foundations, the "miracle" seeds quickly spread to Asia, and soon new strains of rice and corn were developed as well. Asian countries are gripped by the tragedy of a collapsing agricultural sector. Under the guise of feeding the world during the Green Revolution-led by the International Rice Research Institute's (IRRI) promotion of high-yielding varieties (HYVs) in Asia-much of the seed diversity, once prominent in Asia, has been lost. From an environmental and human health perspective, monoculture cropping encourages increasing pesticide use. Pests quickly develop resistance while their predators are killed off and farmers turn to increasingly higher doses and/ or stronger, more toxic pesticides, as pest resurgence occurs. Farmers are also often forced to increase the use of fertilisers to counter the loss of soil fertility resulting from a limited source of nutrients provided by one type of crop. HYVs also demand far more water and nutrients adding to the depletion of soil fertility and water resources. In addition pesticides and fertilisers build up as toxic residues in food and contaminate our soil, water and air, not to mention the health and living environment of farmers, agricultural workers and farming communities. Higher yields mean more income for poor farmers, helping them to climb out of poverty, and more food means less hunger. Dealing with the root causes of poverty that contribute to hunger takes a very long time and people are starving now. So we must do what we can-increase production. The Green Revolution buys the time Third World countries desperately need to deal with the underlying social causes of poverty and to cut birth rates. By the 1970s, the term "revolution" was well deserved, for the new seeds-accompanied by chemical fertilizers, pesticides, and, for the most part, irrigation-had replaced the traditional farming practices of millions of Third World farmers. By the 1990s, almost 75 percent of Asian rice areas were sown with these new varieties. The same was true for almost half of the wheat planted in Africa and more than half of that in Latin America and Asia, and about 70 percent of the world's corn as well. Overall, it was estimated that 40 percent of all farmers in the Third World were using Green Revolution seeds, with the greatest use found in Asia, followed by Latin America. But has the Green Revolution actually proven itself a successful strategy for ending hunger? While food production increased on green revolution lands, hunger persisted. In fact, a series of International Labour Organization studies concluded that hunger and malnutrition increased most rapidly precisely in these areas. Narrowly focusing on increasing production-as the Green Revolution does-cannot alleviate hunger because it fails to alter the tightly concentrated distribution of economic power, especially access to land and purchasing power. Even the World Bank concluded in a major 1986 study of world hunger that a rapid increase in food production does not necessarily result in food security-that is, less hunger. Current hunger can only be alleviated by "redistributing purchasing power and resources toward those who are undernourished," the study said. In a nutshell-if the poor don't have the money to buy food, increased production is not going to help them. Introducing any new agricultural technology into a social system stacked in favor of the rich and against the poor-without addressing the social questions of access to the technology's benefits-will over time lead to an even greater concentration of the rewards from agriculture, as is happening in the United States (Peter Rosset, Joseph Collins, and Frances Moore Lappé,Tikkun Magazine, 2000). A 'realistic' production cost of high-yielding boro paddy has been estimated at Tk 9.83 per kilogram, which is much higher than the market price generally offered to the farmers, reveals an assessment of the Ministry of Agriculture. According to it, even if the 20 per cent profit calculated for the growers is deducted from the cost, market price of each kg paddy stands at Tk 8.03, slightly lower than last year's procurement price, Tk 8.4 a kg. This year's procurement price, however, is to be fixed yet. The production cost of wheat has been estimated at Tk 13.95 per kg while the procurement price at Tk 12 a kg this year, Tk 1.95 lower than the production cost. The procurement rate in 2004 was Tk 9.50 per kg. 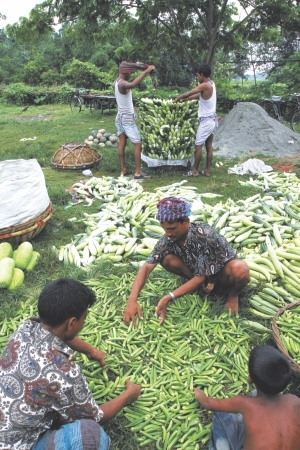 The Bangladesh Agriculture Development Corporation under the Ministry of Agriculture has made the assessment taking into account the factors of production such as land, seed, fertiliser, labour, irrigation, cultivation and other capitals. Usually, the government's procurement rate remains higher than the production price as well as the existing market price to provide the farmers with a better price. But the estimated production cost this year shows a frustrating outcome for the farmers. 'If this trend of production cost versus market price continues, we will not be able to keep the farmers in producing staple food like rice and wheat,' a high official of the ministry told New Age. He admitted that production cost might go higher this season because of the compounded cost of various agri-inputs, diesel in particular. In the assessment on production cost, farm output for high-yielding boro rice per acre has been shown to be 14,700 kgs and price of that at Tk 17,727. For wheat, per acre output has been shown at 800 kgs and overall cost for that Tk 11,560 (New Age, March 19, 2005). But these figures merit a closer look. If you eliminate China from the analysis, the number of hungry people in the rest of the world actually increased by more than 11 percent, from 536 to 597 million. In South America, for example, while per capita food supplies rose almost 8 percent, the number of hungry people also went up, by 19 percent. In south Asia, there was 9 percent more food per person by 1990, but there were also 9 percent more hungry people. Nor was it increased population that made for more hungry people. The total food available per person actually increased. What made possible greater hunger was the failure to address unequal access to food and food-producing resources. The poor pay more and get less. Poor farmers can't afford to buy seed, fertilizer and other inputs in volume; big growers can get discounts for large purchases. Poor farmers can't hold out for the best price for their crops, as can larger farmers whose circumstances are far less desperate. In much of the world, water is the limiting factor in farming success, and irrigation is often out of the reach of the poor. Canal irrigation favors those near the top of the flow. Tubewells, often promoted by development agencies, favour the bigger operators, who can better afford the initial investment and have lower costs per unit. Credit is also critical. It is common for small farmers to depend on local moneylenders and pay interest rates several times as high as wealthier farmers. Government-subsidized credit overwhelmingly benefits the big farmers. Most of all, the poor lack clout. They can't command the subsidies and other government favours accruing to the rich. Small quantities of seedlings are sold at local markets at very high prices, which is beyond the buying capacity of farmers. Some farmers this correspondent talked to said they went to neighouring districts for seedlings, but returned empty handed. Most of the small and marginal farmers spent their last penny during flood for survival. Now they have no money for Aman farming. Many of them will have to transplant seedlings for the second time as earlier transplanted Aman seedlings were damaged by the deluge. "I am searching for seedlings for the last two days and procured three and half pawn (80 bundles) of seedlings from market at Tk 160 per pawn," said Abdur Rahman of Chagoa village in Gaibandha Sadar upazila. Prices have shot up in market. One pawn now sells at Tk 160 to 180 depending on quality against Tk 50 to 70 earlier, he said. Five to six pawns are needed per bigha. Moneylenders have also become active in flood affected areas, providing poor farmers with loans at Tk 10 to 12 per cent interest per month, some farmers said. Many farmers said they did not get the government seeds and fertiliser but the prime time for sowing is almost over. New Delhi -- The farmers of northern states that grew bumper crops during the Green Revolution are now reeling under heavy debt, finding themselves incapable of changing the dominant cropping pattern that is proving a big drag on their economy as well as soil fertility. Though the output in the post-Green Revolution era is still high in these areas, profits are declining because of rising cost of inputs and inadequate increase in the price of outputs, according to recently-conducted studies in two select pockets of Punjab and Western Uttar Pradesh. Both pockets, which present the same family land- ownership pattern, small fragmented holdings and intensive cultivation, has shown indebtedness of farmers crossing 90 per cent. Besides, the increasingly dependence on tube wells for irrigation has led to over-exploitation of ground water, the level of which is continuously falling. Studies encompassing a long stretch of contiguous Green Revolution area covering Punjab, Haryana and Western Uttar Pradesh, however, draw almost similar conclusions on availability of farming information and technical know-how to farmers by their governments. For the choice and use of inputs, the farmers depend on "dealers" (private traders) with no or inadequate availability of information from their state governments on technology, prices, selection of right inputs, value-addition, alternative crops and enterprises, credit and market channels. The farmers are facing various constrains which include lack of adequate bank credit, adulteration of fertilisers and pesticides, and inferior quality of seeds. The governments also provide either no or ineffective mechanism to monitor or regulate the deteriorating quality of seeds and inputs which contribute to declining profits in farming. Against the backdrop of farming communities fast running into economic crisis that could result in social unrest in rural areas sustaining 60 per cent of the population, the two studies see only certain alternatives left for the state governments. These are to help and encourage the farmers form self-help groups relevant to the regions in garnering credit, to go for cooperative marketing of milk, to operate and maintain canals, to go for collective purchase of select seeds, pesticides and other inputs, and to adopt advanced farm operations. Because farming methods that depend heavily on chemical fertilizers do not maintain the soil's natural fertility and because pesticides generate resistant pests, farmers need ever more fertilizers and pesticides just to achieve the same results. At the same time, those who profit from the increased use of fertilizers and pesticides fear labor organizing and use their new wealth to buy tractors and other machines, even though they are not required by the new seeds. This incremental shift leads to the industrialization of farming. The single greatest threat to our agricultural heritage comes from agriculture itself, from the replacement of traditional seeds and farming practices by modern, inbred crop varieties. These new varieties pose a clear and present danger to the diversity that agriculture has produced during its long history. And with the advent of biotechnology and its promise of even higher yields (and other as yet undreamed of "improvements"), the threat to traditional varieties would seem to be even more severe and more immediate. Which crops are most threatened? Primarily the crops where active breeding programs are producing new varieties. And, of course, these are the crops most important to human survival. I met Johara in a midst of a very sad situation. She lives alone and her husband has married someone else and just left. We were in village Kuzrdia, where most of the villagers are suffering from arsenic poisoning. A week before we met Johars father. A sick man suffering from arcenicosis and liver cirrhosis. He was proud to show his new variety of high breed egg plant field. Just the other day I found her sitting in the corner with tears. Her father is dead! Now she has to look after the field. She took me to the egg plant field and said; " Look now the egg plants are dyeing because of the unknown virus. I have given plenty of endrin but it does not work. Someone told us buy some unknown medicine (highly toxic). But where shall I get money. We are ruined!" And again she strated crying. In Bangladesh there is a boom of no name pesticide - a poisonous cocktail made by the dishonest traders. The farmers either know the content or effect of the poison. The high breed plants/seeds are distributed by the large NGOs and government! Nobody seeks farmer's advise although they posses the best knowledge of soil fertility and biodiversity. This a sad story how green revolution destroyed the very existence of poor farmers live inside the embankment to protect IRRI rice that can not stand flood water. Under the project engineers connstructed embankment (middle picture) to inhibit entry of flood water without consulting the farmers. Farmers about one million population live along Kumar river do not obtain any flood laden soils that existed thousands of years. Now except IRRI rice nothing grows. More and more chmical fertilizers and pesticides are added every year. The land (right in picture) grows three times the crop than inside embankment. The land price is also three times higher. Shukir Miah said, "You see, we are now ruined. Without flood water we cannot cultivate any more, we could plant lentils, mustard several other varieties of rice before!". Farmers tried to break the embankment. But police and soldier protected the embankment. Which crops are most threatened? Primarily the crops where active breeding programs are producing new varieties. And, of course, these are the crops most important to human survival. The new body, the International Board for Plant Genetic Resources (IBPGR) is headquartered in the buildings of the Food and Agriculture Organization of the United Nations, across a broad avenue from the Circus Maximus in Rome. amaranth, broad bean, apple, cabbage family, avocado, cassava, barley, chayote, bitter gourd, chickpea, black gram, citrus fruits, breadfruit and jackfruit, cocoa, coconut, pearl millet, coffee pepper, cowpea, Phaseolus (common bean), dessert banana, quinoa, eggplant, radish, finger millet, rice foxtail millet, sorghum, greengram (mung bean) soybean, groundnut, spinach, kangkong, squash family, lentil, starchy banana plantain, maize, sugar beet, mango, sugarcane, muskmelon, canteloupe, sweet potato, oilseed, brassicas, taro and aroids, okra, tomato, onion, wheat, peach, palm, yam, pear, and quince, yardlong bean. almond, moth bean, apricot, oil palm, bambara, groundnut, papaya, bottle gourd, peach, and nectarine, cashew, potato, cherry, rice, bean, cotton, rubber, date, walnut, fig, winged bean, grain amaranth. oats, rye, pea, sunflower, olive, safflower, jute, pineapple, plum, strawberry, grape, and others. There is a fourth priority group, and then there are various crops not listed at all and under study, including many tree fruits and nuts, forage crops, and plants used for medicinal purposes. This frightening list of crops for which genetic diversity and thus future viability is threatened should be read over slowly. It should be studied. One should ponder what it means for these crops to have ended up on this list. In the end, all plant breeding programs live by the bottom line. Plant breeders are under continual pressure to turn out new varieties for the marketplace. Thus, they take shortcuts unknown to our ancestors. The seed industries claim that patenting encourages the export of those new varieties-as they see it, that is one of patenting's chief virtues. In acknowledging these two points but denying the connection between patenting and extinction, people in the seed industry are simply whistling a merry tune as they pass the graveyard at night. But are we ready for the staggering responsibility of guiding future evolution on earth? The first rule of successful tinkering is to save all the pieces; yet in agriculture we are discarding the pieces before we even know their value or their role. We are burning books that we have not yet read (Cary Fowler and Pat Mooney, 1990). During the past fifty years, Indian farmers may have grown over thirty thousand different varieties of rice. With the spread of new varieties, H.K. Jain of the Indian Agricultural Research Institute now estimates that in fifteen years just ten varieties "may cover as much as 75 of the total rice acreage in the country." The world's crops had originated in eight definable centers of origin. It was in these centers--all located in Third World countries--that agriculture had originated, he suggested, and that the greatest genetic diversity was to be found. The eight centers were listed as follows: China; India, with a related center in Indo- Malaya; Central Asia; the Near East; the Mediterranean; Abyssinia (Ethopia); southern Mexico and Central America; and South America (Peru, Ecuador, and Bolivia), with two lesser centers--the island of Chiloe off the coast of southern Chile, and an eastern secondary center in Brazil and Paraguay. " Ethiopia is home to major world crops like sorghum and many millets, as well as coffee. Less well-known outside the country is its teff crop, which is still the most important food staple. Thousands of years of farming have made the region a secondary center of diversity for wheat and barley as well. "But Melaku Worede stresses that his country's ragged landscape is only part of the story. The other part is its people. 'A farmer will take me to his bin and I will look in at the barley or teff or sorghum and I will see nothing. To me, it looks the same.' Melaku waves his arm. 'But the farmer will just reach in and show me that this one is for this soil and this one is for that and this one makes good injura [Ethiopian bread made with fermented dough] and so on. I am the scientist with the training. But farmer knows his seed.' "
Traditional varieties of vegetables and grains are a vital heritage: they could be the key to our food security in the future. But, where hundreds of varieties of a crop were once grown, now there may be only two or three, or the crop itself may have been abandoned. Plant Patenting Laws have made seeds big business, largely controlled by a handful of big companies. (The top 10 seed companies control about 33% of the US$24.4 billion global seed trade, with the top three companies controlling 20%.) Varieties that do not have a world market lose their place and may no longer be sold. Soon they vanish, forever. Yet the lack of genetic diversity in food crops greatly increases their vulnerability to pests and disease -- while breeding new resistant varieties requires the germ-plasm of the old varieties which are being lost. And at a time when the global climate is changing in unpredictable ways, nobody knows what sort of crops may be needed in the future -- the meagre number of commercial varieties available could prove useless in the new conditions. Other tests have shown that old varieties, grown with good soil management and NO chemicals, can equal the yields of the hybrids and far surpass their nutritional quality. And, unlike the traditional varieties, the new hybrids do not last long -- even with high levels of chemical protection, they succumb to pest attack after a few years and have to be replaced by another newly bred hybrid. And here lies the problem: the germplasm for the new seeds comes from the old varieties, but the new seeds displace the old -- often where once scores or hundreds of old varieties were grown, now there's only one, the same new variety that now needs replacing. As one expert commented, it's a strange technology that destroys the very foundation it depends on. The development of GE (Genetically Engineered) seeds (also termed GMOs -- Genetically Modified Organisms) that contain genes from quite different plants -- or from life-forms that are not plants at all -- has now taken the erosion of sustainable crop varieties to a whole new level of risk. IR36 -This early maturing variety had multiple pest resistance, and had been planted to more than 11 million hectares by the 1980s - a world record. IR64 -IRRI celebrated its 25th anniversary in 1985 by releasing IR64. In the past several years the productivity growth of wheat and rice has declined and the expansion of rice and wheat area has halted due to many reasons (Hobbs and Morris, 1996). Ecological degradation of the natural resource base has occurred as farmers using conventional technologies harvest up to 10 tonnes of cereal per year. Long-term rice-wheat experiments have shown that yield growth declines at constant input levels. Unbalanced use of fertiliser and delayed planting of crops are cited as major factors. Profitability has dropped as more inputs are needed to get the same yield. Input subsidies that favoured the GR have lacked farm-level incentives for efficient input use. The price of rice and wheat has declined steadly over the last 30 years. Partial removal of subsidies and ecological problems have put stress on the economy of farmers. Insects can also learn to evade the plant's natural resistance. In an experiment conducted by the International Rice Research Institute (IRRI, pronounced "eerie"), plant pathologists raised the troublesome brown planthopper on a rather poor quality, but brown planthopper-resistant rice variety by the name of Mudgo. The insect, which is now the most serious pest in Asia according to T.T. Chang of IRRI, was unknown to rice workers in the early i96os. In this experiment many brown planthoppers starved to death rather than eat Mudgo. On average the first generation of planthoppers lived only 4.2 days, but that was long enough for them to produce a new generation. The new generation did not find Mudgo quite as distasteful. By the tenth generation, the planthoppers were indicating that Mudgo was all right. They lived an average of sixteen days eating nothing else, which is about as long as they lasted feasting on one of their favorite, susceptible rice varieties. With insects developing both immunity to pesticides and a taste for resistant varieties so quickly, it is little wonder that the average life span of a new cultivar has, in the memorable words of Lawrence Hills, "been reduced to that of a pop record." Kenyan wheats, to cite but one example, last an average of 4.3 years before they have to be pulled off the market and replaced by a new variety. Like insects, diseases also adapt both to chemicals and to the genetic defenses of plants. Diseases mutate, developing new races to overcome the resistance of plants and the farmers' chemicals. "Race i" of the standard wheat stem rust was identified in 1917. Fifty years later, three hundred were known. Like insects, plant diseases have coevolved with their host organism. They are not in the business of becoming extinct. By adapting to their changing environment they are able to survive. And survive they do. As the pests chalk up victories on the battlefield, chemical company bravado rises in pitch. Government regulations slowing down their ability to add to the chemical load already in use, claim the pesticide manufacturers, have prevented them from winning the war. In one startling editorial in a Dow Chemical Company newsletter, Dr. C.A. Goring, director of agricultural products research for Dow said: "Given the opportunity, the web of man-made chemical technology could continue to grow in beauty and diversity creating many new and beautiful species, eliminating some old species and relegating others to more specific ecological niches." Did you catch that? "Given the opportunity," Dow's chemicals will create a few new species, eliminate some species (might we ask which?) and assign others to "more specific ecological niches.
" Anyone opposing this plan, according to Goring, is an "anti-technologist." After all, he continues, "the chemicals we make are no different from the ones God makes" (Cary Fowler and Pat Mooney, 1990). There is also growing evidence that Green Revolution-style farming is not ecologically sustainable, even for large farmers. In the 1990s, Green Revolution researchers themselves sounded the alarm about a disturbing trend that had only just come to light. After achieving dramatic increases in the early stages of the technological transformation, yields began falling in a number of Green Revolution areas. In Central Luzon, Philippines, rice yields grew steadily during the 1970s, peaked in the early 1980s, and have been dropping gradually ever since. Dyal Singh knows that the soil on his 3.3-hectare [8 acre] farm in Punjab is becoming less fertile. So far, it hasn't hurt his harvest of wheat and corn. "There will be a great problem after 5 or 10 years," says the 63-year-old Sikh farmer. Years of using high-yield seeds that require heavy irrigation and chemical fertilizers have taken their toll on much of India's farmland.Š So far, 6 percent of agricultural land has been rendered useless. (Peter Rosset, Joseph Collins, and Frances Moore Lappé,Tikkun Magazine, 2000). chlorosis due to temporary water stagnation. To compound these problems, Phalaris minor, the major weed in wheat has developed strong resistance to the commonly used herbicides and farmers have had to shift to new, more expensive herbicides. Excessive pumping from wells is leading to declining water tables in fresh water aquifer zones, while inadequate drainage is causing waterlogging and salinity in others. Many of these problems are interrelated and tend to be concentrated in areas where farmers practice continuous rice-wheat rotations (Pingali and Shah, 1999). Soil erosion could well become a disaster on hundred of thousands of hectares of "green revolution" rice areas of Asia where over-fertilisation has now been taking place for some three decades. 1. Soil pollution by heavy metals and pesticides residues through the application of chemical fertilisers, pesticides. The main sources of soil pollution by heavy metals are phosphate fertilisers. On many of our agricultural soils we have now been applying heavy doses of phosphatic fertilisers for over 50 years, and all of these heavy metals keep accumulating, and the amounts of present are becoming more and more toxic. 2. Ground water pollution by nitrates. 3. Soil and ground water intoxication by plant protection products. In Bangladesh the Green Revolution have contributed to worsening income inequality and deepening absolute poverty. The absolute poverty afflicts two-thirds to four-fifths of the rural population (Khan, 1985). The studies on the "green revolution" in India reveals that small farmers cannot participate in its diffusion as much as large ones because the new crop varieties require a large amount of investment in purchased inputs that the poor cannot afford, and small farmers have little access to financial institutions (Griffin, 1974). The result of national nutrition surveys in Bangladesh show that the per capita daily energy intake decline by about 9 percent between 1962-64 and 1975-76, and another 7 percent by 1981-82. Modern agriculture became expensive for the poor farmers and many farmers lost their land. Landless small farmers and as well as urban informal groups constitute 50 per cent of Bangladesh's population. Fifty three per cent of rural population are virtually landless and the result of that a very large percentage of urban population live in slums. Since 60's the World Bank, IMF and other international aid agencies financed to introduce imported High Yield Variety (HYV)of Rice and Wheat that required imported irrigation pumps, diesel, fertilisers and pesticides and constructed embankments to stop overflow of nutrient rich river water. Instead of improving traditional varieties (there were about 30,000 varieties of rice in this sub-continent and now exists only about 8 varieties). For centuries, farmers have improved plants through selective breeding within species. The experience with hybrid has been disastrous in India and Bangladesh. Farmers reportedly committed suicide after failed harvests left them financially ruined. Poor farmers use cheap no name pesticides that contain extremely unknown hazardous materials. Import of fertilisers, pesticides opened a new free market for the industrial countries to dispose of hazardous products in the developing countries. 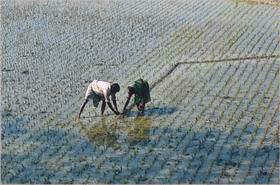 The Government and many Organisation in Bangladesh reported that the deterioration in soil fertility is attributed to continuos monocropping of rice, particularly HYV rice. The imported technology with the high demand of water, fertilisers and pesticides a narrow gain of a few hundred dollars can be achieved. Most of the HYVs producers are also the leading multiorganizations of chemical industry - Sandoz, Upjohn, Limagrain, Cargill, Volvo, ICI, France Mais, Dekalb-Pfizer, BASF, Royal Dutch/Shell, ITT, and Ciba-Geigy, whereas only six are traditionally seed producers. The Royal Dutch/Shell is the highest producer of pesticides and at the same time is the largest seed producer of the world. In fact, the short and long term strategy of the supplying industry is to maximise the use of chemicals and use new biotechnique to broaden the applicability of pesticides. (Mooney et al.1988). Chemical companies recognise that there is a bonanza awaiting manufacturers who can create seeds like herbicides. It is undoubted that "the green revolution" has opened the world wide market of the agrochemical industry. Our soil contains millions of elements, compounds, and species of biolife Most of these are necessary, but only in minute quantity. In natural ecosystem and traditional agriculture, the very delicatebalance between the different elements is usually maintained, but input-oriented, industrial agriculture the equilibrium is rudely disturbed through the infusion of very large amounts of certain elements contained in agrochemicals. 'Super Rice' In 1989, IRRI began to develop a completely new rice plant that could break the yield plateau reached by the modern high-yielding varieties. TIME magazine called the new plant type "one of the five top environment stories of 1994". Now going through a process of further refinement, "super rice' is expected to be in farmers' fields in 2003. Genetically modified to contain beta-carotene and carotenoids, golden rice is being investigated by IRRI scientists and its proponents to help combat Vitamin A deficiency in Asia. However, Greenpeace warned the public not to be swayed by this false promise. "This whole project is actually based on what can only be characterized as deliberate deception. We recalculated their figures again and again, we just could not believe serious scientists and companies would do this," said Von Hernandez, Campaign Director for Greenpeace Southeast Asia. Greenpeace calculations show that an adult would have to eat at least 3.7 kilograms of dry weight rice or around 9 kilograms of cooked rice to satisfy his daily need of Vitamin A from golden rice. On the other hand, Arma Bertuso, Program Coordinator of SEARICE (South East Asia Regional Institute for Community Education) asserted that,"we find it incredibly ironic that the golden rice is being developed for poor countries which are known centers of origin and diversity of Vitamin A-rich vegetables and fruits." Greenpeace says golden rice fails to address the underlying causes of Vitamin A deficiency which are mainly poverty and lack of access to a more diverse diet. Greenpeace does not seem supportive of IRRI. "Syngenta and its pro-biotech cohorts should stop exploiting the issues of malnutrition and hunger for their self-serving agenda of promoting a dangerous technology which has potentially irreversible consequences to the environment and human health," urged Beau Baconguis, Greenpeace Campaigner against Genetic Engineering in the Philippines. Now the Bangladesh Rice Research Institute (BRRI) has developed a 'Super High Yielding Variety (S-HYV)' of rice with a growth potential of 12 to 14 metric tons per hectare, BRRI Director General Dr Nurul Islam Bhuiyan announced yesterday. He said the new variety, developed through hybridisation of a HYV with a foreign variety, would be in the hands of farmers after two to three seasons of field trials. This thick and sturdy Super HYV has no lodging problem and each panicle holds more grains than any HYV (Daily Star, May 29, 2001). In the next few months, the International Rice Research Institute (IRRI), based in Los Baños, Laguna, the Philippines, plans to conduct its first open field test of a transgenic variety of rice in Southeast Asia. IRRI will conduct the field tests in collaboration with its national counterpart, the Philippine Rice Research Institute (PhilRice). The first transgenic rice that IRRI and PhilRice plan to test has been genetically engineered to resist bacterial blight (hence the short-hand "BB rice"). IRRI intends to conduct its field test at the University of the Philippines Los Baños (UPLB) Central Experiment Station, while PhilRice plans to conduct its field test at the PhilRice experimental site in Maligaya, Muñoz, Nueva Ecija. While IRRI has already conducted experiments on this transgenic rice under contained conditions at its headquarters in Los Baños, its planned field test in the open environment marks an entirely new stage in the deployment of rice biotechnology in Asia. Once IRRI and PhilRice carry out the trials, transgenic rice will only be a short step from farmers’ fields. Presently, to our knowledge, only China has conducted widespread field tests of transgenic rice in Asia. IRRI's move, however, has a resolutely international objective: to deploy genetically engineered rice throughout the region. That is why IRRI's first field test calls for a close inspection of the issues at hand. The impacts of transgenic crops go well beyond biosafety, however. There are many potentially severe socioeconomic impacts or "risks" associated with the technology. Before a technology is accepted, questions must be answered about how it will impact the long-term welfare of communities and there must be a decision-making process where the affected community can make its own judgements about whether or how the technology should be used. A thorough assessment would look not only at the environmental consequences but also at who controls the technology, who stands to benefit from it, and, not least important, what alternative solutions exist. Bacterial blight only became significant in Southeast Asia forty years ago. Before then, the traditional practices and varieties of rice farmers kept the disease at bay. The situation changed drastically in 1959 when IRRI was established by the Rockefeller Foundation. IRRI introduced IR8 – its first semi-dwarf, nitrogen-responsive variety – in 1966 and within a few years, IR8, along with the chemical fertilizer it required, blanketed the region. But IRRI had other ideas and it, along with its local counterparts, continued to push IR8 far and wide, even into those areas most vulnerable to bacterial blight and other diseases. The area planted with HYVs in the Southeast Asian countries using IRRI varieties jumped from 1.4 million hectares in 1966 to 34.4 million hectares in 1980. There was a similar increase in fertilizer use – soaring from 1.4 million tons in 1965 to 9.6 million tons in 1980. Results were as expected. In fields planted with HYVs, bacterial blight often cut yields by 20 to 50 percent throughout the 1960s. All over Southeast Asia epidemics broke out, with loss of yields as high as 80 percent in some areas. Problems were compounded by the fact that the disease becomes more virulent in the presence of susceptible hosts, especially under monoculture conditions. Uniform crops exert selection pressure on the disease, and those strains of the disease for which the rice has no defense end up quickly dominating the other populations. The next option was to seek a solution through breeding. Luckily for IRRI, some farmers in southern India stuck with traditional varieties – which may have produced lower yields, but were durable against disease. IRRI collected one of these varieties, named TKM6, labeled its resistance gene as Xa4, and then quickly set to work trying to breed the gene into its HYVs. The first IRRI variety incorporating the Xa4 gene was launched in 1969 and since then almost every rice variety bred at IRRI or by its national counterparts has incorporated the gene. 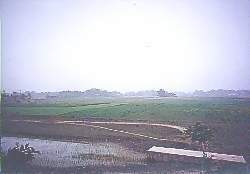 In the 1980s, about 90 percent of the rice land in the Philippines was planted with varieties possessing the Xa4 gene. Xa4 did provide some immediate relief, but the problem was far from resolved. To its dismay, IRRI soon learned that it had unleashed a highly adaptable disease that would not be so easy to conquer. By 1972, only three years after the first high-yielding Xa4 variety was introduced, bacterial blight was once again wreaking havoc on farms sown with HYVs. As recognized later by IRRI, "The widespread deployment of rice varieties containing bacterial blight resistance genes has brought about significant changes in the population structure of Xanthomonas oryzae pv. oryzae. (Xoo)" IRRI’s Xa4 varieties could resist one race of Xoo, but, with the widespread use of the gene in HYVs, a second race of Xoo emerged that Xa4 could not withstand. Within a few short years, that race accounted for 80 percent of the bacterial blight population. Today, as new resistance genes are identified and incorporated into IRRI lines, the disease continues to adapt, as in the Philippines, where a third race of bacterial blight dominates. New forms of Xoo have emerged in many localities. The disease is a chronic, low-level problem in many countries, and local epidemics (such as in the Punjab in 1994) are still a threat almost everywhere rice is grown. For social activist Daycha Siriphat, the future of Thailand's indigenous rice strains lies with small-scale farmers and not with the government. In fact, the director of the Technology for Rural and Ecological Enrichment (Tree) argues that state-endorsed promotion of market-oriented monoculture contributes to a drastic decline in rice varieties. High-yielding varieties together with intensive use of chemicals and farm machinery have effectively turned farmers away from indigenous varieties. The state plays a crucial role in the decline of the local varieties," said Daycha. "For instance, last month, a senior officer at the government-run Bank for Agriculture and Agricultural Cooperatives, urged farmers in the South not to grow indigenous rice. He argued these crops have low market demand. "Ironically, a lot of farmers have gone bankrupt after they followed the government's advice to switch to high-yield varieties, which turned out to be susceptible to insects and diseases," Daycha noted. "By the end of the fourth year, a large number of indigenous varieties had disappeared," noted Jorni. "What kind of development is this if it takes away biodiversity and disallows pride in traditional cultures?" (VASANA CHINVARAKORN , September,2000). Scientists and farmers alike discovered that the package of high-yielding variety (HYV) plus expensive agrochemicals and irrigation turned out to be as much a bane as a boon. No doubt it proved to be extremely profitable for agrochemical and seed conglomerates-but at the expense of the health of the earth's environment and the people it sought to serve. HYVs attract more pests than 'naturally selected' seeds and thus need more dousing with poisons-herbicides and pesticides-but this can kill both friends and foes as well as give human beings a variety of chronic illnesses. In 1998 sixty per cent of the world’s market for seeds was controlled by just 35 companies (there are a total of some 1,500). In traditional farming, some seeds from a harvest are saved to plant the following year. But biotech companies force farmers growing GM crops to buy new supplies of seed every harvest. The McKinsey business-consultancy firm in 1997 stated that, of the more than thirty seed cultivation companies active in genetic engineering in 1990, only seven big companies still remained. The world market volume for agrochemicals amounts to about 28 billion US dollars. The volume for seeds is estimated at 30-50 billion dollars, but only about a third of this is at present actually traded through markets. When this is compared to the agrochemicals branch, there is thus enormous potential for growth here. One of the central means of gaining large market shares is the patent. It destroys functioning legal sysems and the protection of varieties, and secures access to agriculture for foreign economic interests with capital. AgrEvo, DuPont, Novartis, Zeneca and Monsanto are among the ten biggest agro-chemical and seed companies in the world. Their activities and cooperative agreements affect the countries of origin of the varities of plants involved as much as they do countries in the northern hemisphere. Having gained the cooperation of the reputable Indian Institute of Sciences in Bangalore, Monsanto in 1998 bought the biggest public seed-growing company in India, Mahyco.One reason control of this seed market is economi-cally significant is that 80 per cent of sowing in Asia, Africa and South America is done by farmers re-using their own harvest. A study made in the Netherlands by the Rabobank puts the total world market for seeds at 45 billion dollars. Only about 15 billion dollars of this is seed that is commercially traded.2 Patent protection can to a very large extent put an end to re-sowing, i.e. farmers using their own crops. In addition, plants’ natural reproductive ability can be blocked by genetic changes, thus making it biologically impossible for farmers to re-sow their own crops ( Christoph Then, 1999). At least 27 corporations – including Ciba-Geigy, ICI, Monsanto and Bayer4 – have initiated 63 programmes to develop herbicide-tolerant crops, the market value of which is expected to touch $6 billion by the year 2000(The Laws of Life, Development Dialogue Journal 1-2, Dag Hammarskjold Foundation, Uppsala, 1988) . Strong evidence links alachlor – the most popular herbicide in the US – to malignant tumours. It contaminates groundwater in 12 US states. Increase chemical based agriculture and destruction of natural environments due to structural measures in this subcontinent pose the greatest threat of surface and ground water contamination. A rapid disappearance of forests, coastal mangrove forests and wetlands is increasingly lacking in natural purification of polluted waters. The point and non-point sources of surface water pollution are creating chemical and biological contamination, channel contamination and basin contamination and the existing management efforts are incapable to meet the problems. The loss of genetic diversity may further lead to an explosive rise in the number of species becoming extinct. The loss of diversity crops, flora and fauna is a potential threat in Bangladesh to the food production. Although the economy of the country completely rely on the renewable resources policies in Bangladesh Government plans are conspicuous by their absence and where they exist they are inadequate, outdated or unforceful. Even the aid giving agencies are engaged in short-term return projects - give no consideration to country's traditional wisdom. 4. Possible Source of Arsenic Contamination Agrochemical? 8. What price green revolution? Many decades ago, the farmers of Bangladesh all practised simple, organic methods to grow their crops. As the demand for produce grew, however, the need arose to grow more food, in a shorter span of time. 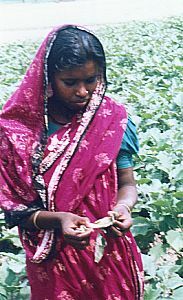 In 1951, as a part of the Green Revolution, the Bangladeshi government permitted the import of chemical pesticides, to assist farmers to meet this growing demand and protect their crops from being destroyed by various insects and pests that infested their fields and fed on their harvest. What the government did not know, was that these pesticides, when used by illiterate farmers in large unauthorised doses can be dangerous not only to the pests, but also to the environment and the lives of humans and animals that come into contact with them. The chemicals that are less bio degradable can remain in the ecosystem for a long time and eventually become a part of the food chain. 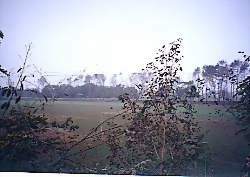 Research shows that in the late 90's, about 39 insecticides, 21 fungicides, 10 herbicides, 7 acricides and 2 rodenticides were being used in Bangladesh in agriculture and the public health sector (Rahman & Alam 1997, working for the Department of Civil Engineering in BUET and The Department of Environmental Engineering and Pollution Control at the Shahjalal Science and Technology University). This amount has increased over the years, especially since the government discontinued subsidies for chemical pesticides and the business was handed over to the private sector. 1981 was the peak year for agrochemical coverage in this country, during which about 2 million acres of paddy received some form of chemical protection. By 1988, this increased to slightly more than one and half times that amount (according to research by Mahbub Robbani, Salah Uddin Siddiquee, Souravi Zaman Hiroshi Nakamura, faculty members of the Agriculture Department at Shinshu University in Japan, conducted in the year 2007). The use of these chemical pesticides is not effectively controlled in this country and some toxic and persistent pesticides such as DDT, endrin, BHC, aldrin, dieldrin, heptachlore and thiodin which have been banned in agricultural use, are being illegally imported and used for pest management. 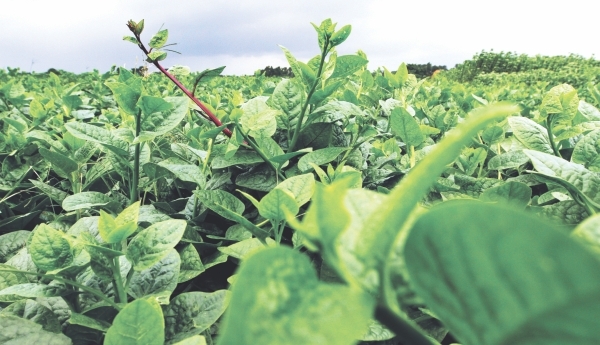 Huge amounts of organophosph-ates are also being used by farmers to protect winter crops. Residue of these pesticides was found inside fish and birds which we consume. Some pesticides played a role in sterilising entire fields and causing high mortality rates in the animals residing near the chemically treated farms. If these chemical pesticides are causing so much disruption in the environment and reducing the life span of so many different species of animals, just imagine what they are doing to humans. These complicated scientific sounding names of poisons may seem alien to most of us, but their effects can hardly go uncomprehended or unnoticed. As research reveals, over a long period of time, chemical pesticides have slowly entered our blood stream, causing chronic conditions such as asthma, various birth defects in children such as limb reduction and cleft palate among others. These chemicals can also cause neurological problems such as reduced IQ, and learning disabilities which are associated with permanent brain damage. They have played a role in increasing the rates of childhood cancers such as leukemia, brain cancer and ovarian cancer in teenagers. Some chemicals can cause more subtle damage such as hormonal disruption, which give rise to fertility problems, low sperm count, precocious puberty in girls and undescended testicles which may later become a cause for cancer. It all sounds quite ominous doesn't it? Despite the efforts of the government to introduce a more sustainable form of agriculture through the development of the Integrated Pest Management, a project which aims to train farmers to use alternative techniques to trap and eliminate crop damaging pests in an eco friendly manner, they were unable to reduce the use of chemicals in farms all over the country. One innovative woman however, has come up with an idea, which when she put to test turned out to be both effective as well as sustainable. Sharmin Hossain, the chairman of Fresh and Safe Agro Ltd (FASAL), who received the Outstanding Woman in Business award at the Business Awards Ceremony organised by The Daily Star and DHL Express in 2012, did not always know she wanted to be an entrepreneur. At FASAL's collection centres, vegetables and fruits are washed with clean and safe water before they are transported to the city. In 2010, Hossain along with a group of professionals, mentored by a qualified and experienced technical and business development team established FASAL, which is committed to producing and providing safe, hygienic and fresh vegetables and fruits by using eco-friendly bio agents and following global standards set by the Integrated Pest Management (IPM) and Good Agricultural Practices (GAP). Farmers associated with FASAL claim that they have been making profit from their crops since they started using bio pesticides. Hossain observed that there is a growing number of cancer patients and patients with liver disease and kidney problems in this country, “Where do you think all this is generated from?” she asks, “The food we consume of course. Farmers using pesticides often do not even know the right amount that should be used and use an overdose on their crops. They don't wait for the residual effects of this pesticide to wear off before harvesting again. They need to be educated, about timelines and the effects of harvesting before its time,” she explains. With all this effort one must wonder why Hossain and her team have not ventured into organic farming. “We haven't gone into organic because if the fields next to ours don't practice the same methods, my crops will be contaminated by their pesticides,” explains Hossain. Organic methods would involve using natural seeds as opposed to the hybrids created in laboratories, which are being used by farmers in this country. It would also involve crop rotation which means a variety of crops would be planted in the same field to get natural nutriets from eachother and prevent the build up of pathogens and pests that occur when one species of crop is continuously harvested. It can also improve the soil structure and fertility. Organic methods would also involve planting green manure, or plants that are grown primarily to add nutrients to the soil. Compost or organic matter that is decomposed and recycled as soil fertiliser is also used in organic farming. Hossain comments that nowadays people are quite aware of what's happening to their food. They read and watch news about formaline used to preserve fruits and vegetables and the effects of pesticides and are reluctant to buy many things that they would buy blindly before. “We have a hot water purifier plant which we brought from the Bangladesh Agriculture Research Institute which we use to treat fruits such as mangoes etc before distribution, this helps get rid of all chemicals before distribution so consumers can be rest assured it is safe,” assures Hossain. 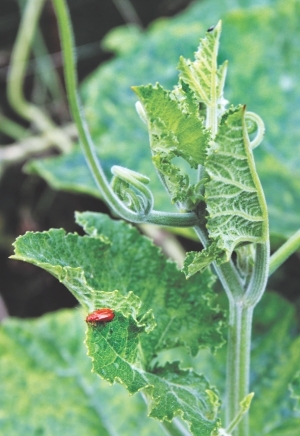 Farmers are pleased with the effectiveness of bio pesticides and can see the benefits of using natural pest repellants on the health and plant life of their crops. 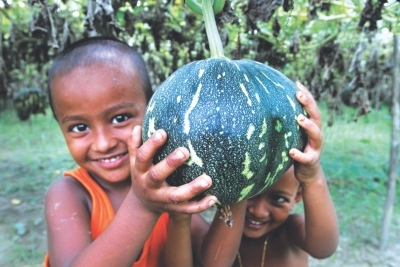 In Chuadanga, a small village in Manikganj, a group of farmers are very happy with their harvest this season. They proudly display their lush vegetable patches, abundant in vibrant yellow flowers and delectable vegetables. They claim they owe their success to FASAL and its bio pesticides. Each vegetable zone overseen by FASAL has a leader elected by the farmers themselves, Mohammad Osman Gani, is the head farmer of Chuadanga. “There are about 35 farmers in my area using bio pesticides,” he informs us. “I grow Korolla, Lau, Jali Kumra, Mishti lau, shosha, dhundul, kakrol, papaya, etc. After using bio pesticides, I have seen a growth in harvest and a new strength in plant life and the pests/insects no longer attack my crops. My crops have given me their seasonal vegetables and are almost at the end of their life but they are still strong and healthy. I grow spinach and have a small successful fishery here as well,” he smiles with pride. Gani's nephew Musharraf has also recently started using these pesticides. “My crops are doing very well since I started using these bio pesticides, my produce is larger and healthier and today, while everyone else sold their pumpkins for Tk 14 per piece, I sold them for Tk 18 at the bazaar this morning. Dealers wait for my produce and argue over who should get more of it,” he smiles. Chemical pesticides not only affect the consumers, but direct contact with them over a period of time can also be harmful for the farmers. With positive feedback all around, and a crowd of farmers waiting at the collection centres with their chemical free produce, FASAL is well on its way to success, but Sharmin Hossain hasn't stopped at that. This remarkable woman has also set up projects to assist female farmers in small ventures and encouraged them to use her bio pesticides. FASAL is also conducting another project at Binada-ngai, a sort of trade model where 5 women entrepreneurs get a loan from a financial institution, and FASAL gives them technical support such as helping them build huts and purchase cows. “If the cows fall ill or they need advice as to what to feed the cows, we are there to give them advice and help them in various ways,” says Hossain. “Then, we market the milk the cows produce for them. We are working with 5 such dairy farmers of whom four are very successful and have already started to repay their loans.” FASAL is now based at more than fifteen locations including Manikganj, Chuadanga, Norshindi, Tangail and Dhaka district which is an established vegetable production zone and currently working with more than 12,000 trained farmers. Its retail operations are limited to selected locations within Dhaka city. It is also supplying fresh vegetables and fruits to institutional customers like retail chains, star hotels and fast food restaurants. It is also catering to large retailers like Agora and Nandan. FASAL products are also available at their own retail outlets established in selected markets, via rickshaw vans and other small retailers all over the city. This company is not only ensuring the health and safety of thousands of farmers and consumers, it is also ensuring peace of mind for those of us who are appalled by what we have learned about chemical pesticides. It needs all the assistance it can get from us. Sharmin Hossain has taken the first steps toward safe agriculture; let's hope she can expand FASAL and continue its good work and that others soon follow in her footsteps (Anika Hossain, Daily Star, July 6, 2012.